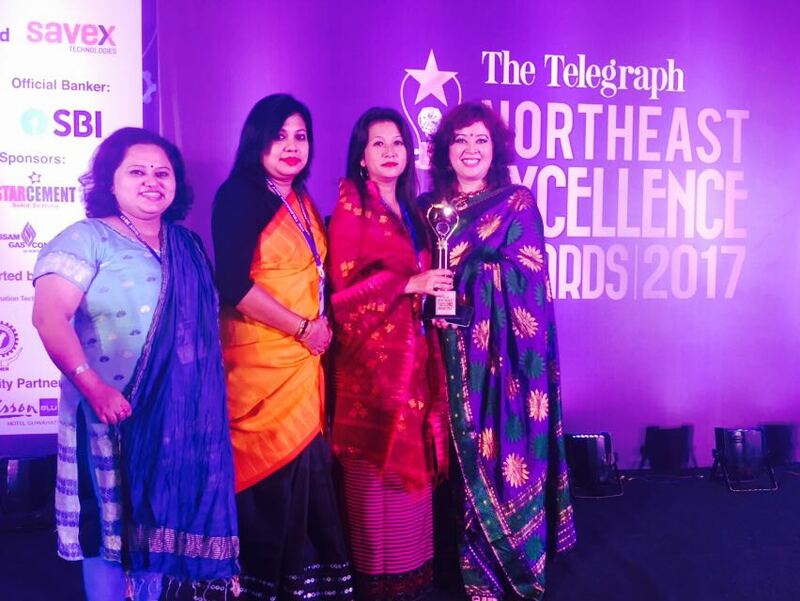 In yet another good news for people of Manipur, the state's own much highly recognized daughter, often known as "The Face & Voice of Northeast", Ms. Binalakshmi Nepram has been awarded "The Telegraph Northeast Excellence Awards 2017". This prestigious award was given for her relentless work for the region. The awards were given away on 7 September at a jammed pack; glittering, power packed ceremony held in Guwahati. Ms. Reena Devi Mutum, Coordinator, Manipur Women Gun Survivors Network, received this award on behalf of Ms. Binalakshmi Nepram. The Excellence Awards 2017 is an exclusive platform to honor the dedication and perseverance of these individuals who have used vision, creativity, business acumen and innovation to lead their respective states and the region towards growth and development. In a statement issued by the selection committee, Ms. Nepram was recognized and honored for continuously and selflessly striving to make this world a better place. Committee also stated that women like Ms. Nepram are working for various causes and issues concerning the society, woman with extraordinary accomplishment, outstanding leadership qualities and exceptional commitment to her career and community". 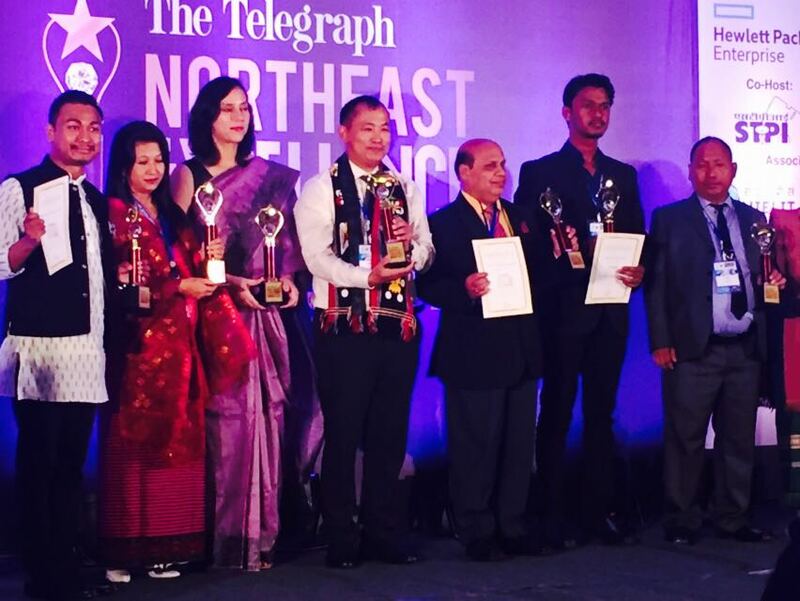 In a statement issued by Ms. Nepram, she said, "In honoring me, The Telegraph has honored the women of Manipur and Northeast India". She dedicated the award to the brave mothers of Manipur & Northeast India who through their sheer grit and determination have steered the course of the history of state and region in spite of over 60 years of armed conflict. She vowed that she will be working with several women across Manipur and region to bring about much-needed change for peace and progress. The awards were given out, among others, by CEO and MD of ABP Pvt Ltd D.D. Purkayastha, vice-president, The Telegraph, Dhruba Mukherjee, chairman of the Public Accounts Committee of the Assam Assembly, Rajdeep Gowala, and PWD minister Parimal Suklabaidya. Born to parents Nepram Bihari and Yensembam Ibemhal, Ms. Nepram hails from Sagolbandh Nepra Menjor Leikai.Ms. Nepram is a poet, author of 4 books and is the founder of the award winning organization Manipur Women Gun Survivors Network and Control Arms Foundation of India. She is the recipient of several national and internationally recognized awards for her work on women led initiatives for peace and downtrodden women survivors of armed conflict in Manipur and Northeast Region. In January 2015 prestigious Forbes (India) Magazine named her as one of "24 Young Minds to Watch out for in 2015" and London based organization, "Action on Armed Violence" named Ms. Nepram as one of top 100 influential people in the world working on armed violence reduction.